You may know me as a Publicist and Visibility Strategist. I help entrepreneurs, coaches, speakers, authors and small businesses to become more visible in a very noisy world. What you may not know about me is that I have a consistent and robust interest in feeling good! Health and fitness are very high values in my book. But here was the problem: I was eating all the right foods, getting the recommended amount of exercise, even participating in various adventure runs. But one goal that continued to elude me was knocking off those last 10 pounds. It seemed no matter what I did, I just could not do it. I was doing everything you’re supposed to do: not overeating, choosing good, healthy, organic foods, getting plenty of exercise, but just couldn’t do it. Very frustrating! And then came a moment that changed my life . 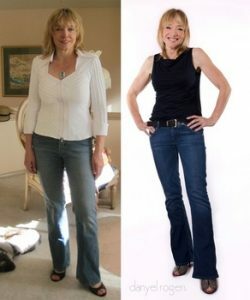 . .
My fitness trainer, Casey Mitzel, introduced me to a nutrition and exercise plan that has changed my life forever. Once I got his recommendations dialed in, the weight just slid off. It was amazing. Truly amazing. It’s as though the body is like a combination lock. You have to get all the pieces in the right sequence for it to work. I am at the same weight I was when I was only 20 years old and I feel fantastic. So, I feel inspired to share this program with others who may be in the same boat as I was. Or with anyone who wants more energy, wants to feel better, and wants to lose weight.